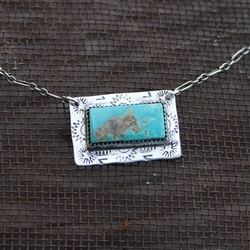 This is a custom handmade Sterling Silver & turquoise necklace. 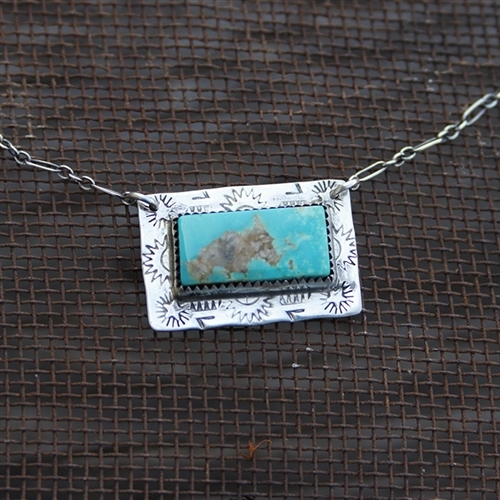 It is adorned with Southwestern stamping around the perimeter of the stone. 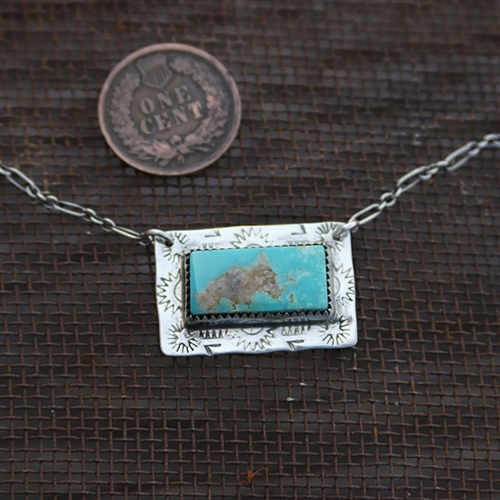 The pendant measures 1" wide x 11/16" tall.